On Tuesday night Duke took on Kansas in the State Farm Championship Classic and lost via a Buzzer Beater. Tonight, Bill Wheeler joins me, Bermuda Bob, to dissect why the Buzzer Beater was not what caused the loss. How Good is Duke ??? Both Bill and I agree that rankings are meaningless at this point in the year, and that no one can really effectively judge just how good Duke can be with 3 Frosh and Sean Obi on the Bench recuperating !!! What About Grayson Allen ??? Bill points out that Grayson seems out of sync and is pressing too hard. I think the Kansas game looked like “Déjà vu all over again” as it reminds me of last year. Who’s the Point Guard ??? Bill thinks that Duke must establish their Point Guard from Luke, Matt, or Frank Jackson. Bill points out that it could take Giles until conference season to be in optimum shape. I think it MUST be Frank. Luke works hard to get his shot from anywhere, but he also dishes Assists and Rebounds. He has 5 of each in this game while scoring 22 Points. He continues to become a better player on both sides of the Court. Matt does not handle the ball well and his passing skills are still questionable. Frank is a good blend of scoring and ball movement. If he were given the spot as his, his Assists would surely increase. Duke had 16 to 14 for Kansas. Amile commits 7 of them in a so-so performance while Fouling Out, while those 5 Rebounds by Luke led Duke. Kansas out-rebounded Duke 38-29. Bill points out that Kansas was the smaller team. Both Bill and I agree that this seems to be foolhardy, considering the talent he has on the Bench who are not being given the opportunity to contribute. Now, both of us readily admit that neither of us have the career stats that he has, but it is surely hard to reconcile in our minds. On Saturday, Duke takes on Penn State in the Basketball Hall of Fame Tip-Off at Foxwoods in Connecticut. It’s yet another irony along my walk with Duke as a fervent fan. I now live in Penn State country. The people here are gracious enough to not give me a hard time about my shades of Duke Blue. On Sunday Duke takes on either Cincinnati or Rhode Island based on the results of the first games. This is a realistic event compared to the State Farm Classic. There has been no word on the status of any of the injured Frosh … Considering that Coach K is so focused on starting his 5 upperclassmen plus Frank Jackson, I don’t think there is much new to see unless Coach is willing to get his Bench on the Floor for some minutes. After all, in that National Championship game, Grayson Allen was an untold player !!! Neither of these games will be pivotal in March, so playing the Bench makes a whole lot of sense !!! The leaves have revealed their lovely colours, and are now brown on the ground, waiting to be collected. Shorts have been relegated to the gym. Heavier clothes are the standard when out enjoying the crisp cooler air outside. For us, it is a challenge to see how long we can go before activating the Heat in our home. Last, and certainly not least, after the seemingly endless campaign season, our Nation has chosen a very new and different President to cure the ills of our Country. If you’re like me, NOW is when the college basketball season really begins. 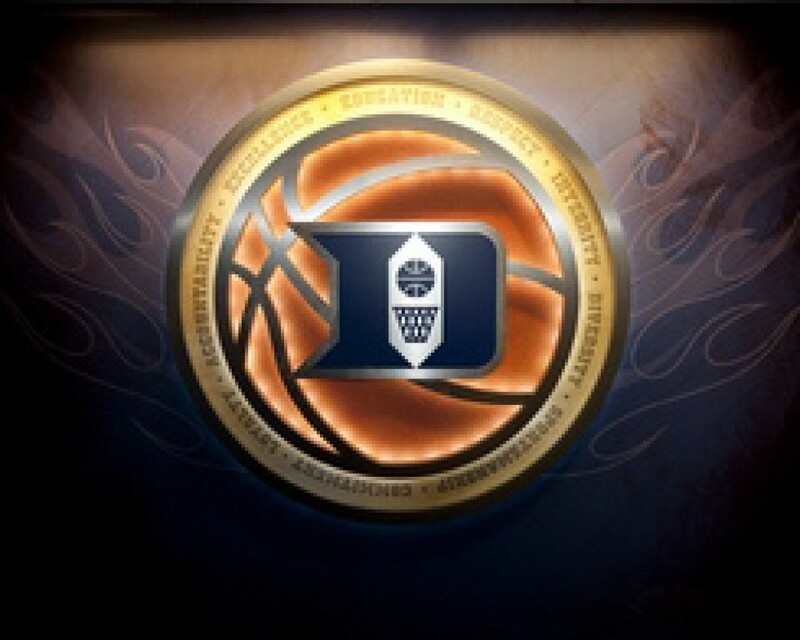 Duke has had their standard 2 exhibitions, followed by 2 games against teams they were expected to prevail against. Tonight, at 9:30PM (E) the season REALLY begins as Duke meets Kansas … well, at least that’s what the so-called pundits tell us !!! This early-on game is not a favourite of mine. It presumes that teams are at their strongest, when the players have barely broken in their uniforms, nor have the fans learned all the new additions to the squad. Such a contest seems more like something of an Elite 8 match-up, or a Final Four game. I think it ought to be the last game of the non-conference schedule when the players have had a bit of time to mature … maybe on New Year’s Eve. There is no reason to hold an elite event ahead of the Big 10-ACC Challenge, which is much more representative of the prowess of all the teams, not just 4 hand-picked programmes !!! Obviously, no one is going to listen to me, so let’s examine where Duke is going into this game. Duke is battered. 4 players are in street clothes. One player is a concern down the road as his is a recurring injury. The other 2 guys, may again be the result those damned Nike sneakers. Sean Obi is again working more on his sartorial speldour after a report of his having work on both knees done this past summer. Coach K has admitted that they may need to look at the relative vociferousness of their practices. In the 2 games this weekend, without some 3 presumptive Frosh contributors, Duke looked to what I will call the “4 Horseman of Durham” of Amile, Grayson. Luke and Matt … Being adding to these guys has been Frank Jackson, who has been named ACC Frosh of the Week, after a couple excellent performances !!! Now we all know that Coach K likes a 7-8 player rotation, so let’s add Chase Jeter, Javin DeLaurier, and Antonio Vraknovic. Jeter has been a de facto Starter with Borden, the guy who supplanted him on the depth chart, going down … He has gotten some serious opportunities to show off what he worked on over the summer. In the first 3 games, he did very well, but in the last game he unfortunately returned to his performance of last year, being able to only play 22 minutes because of Foul Trouble. DeLaurier is an impressive player, who, by his own words expects to learn plenty by being surrounded by so many impressionable players … He has a treasure trove of talent already, so the sky’s the limit for him !!! That means that nothing that happens in the Kansas game will do anything more than to solidify the core of this Duke team. Personally, I’m not concerned, as the schedule for the 2 weeks before meeting Michigan State in the Big 10-ACC Challenge, is not very consequential. Nothing that happens until State will matter come March Madness !!! So, right now, we really don’t have a clear impression of who Duke is, other than the idea that they are fortunately deep, so they will take longer to develop into who they really are. Let’s hope this doesn’t last into the conference season. Welcome Back to our regular readers !! !